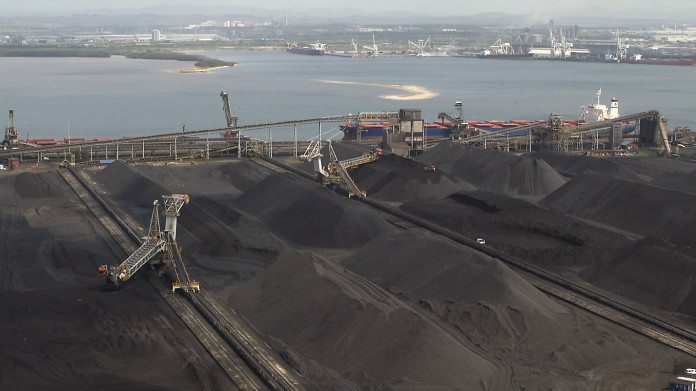 THERE is uncertainty as to whether international trading groups will take equity in Optimum Coal Mines in terms of its purchase out of business rescue, but Richards Bay Coal Terminal (RBCT) declared itself unfazed by having one of them as a shareholder. Optimum Coal Mines consists of the Optimum and Koornfontein coal mines as well as allocation worth currently eight million tonnes of export entitlement through RBCT. In the past, shareholders have been from a tight-knit group of mine operators such as Glencore, South32 and Anglo American, among others. Miningmx understands, for instance, that when Vitol emerged as a participant in the purchase of Optimum Coal Mines from Tegeta Exploration & Mining – the infamous Gupta family company – there was unease among existing RBCT shareholders who prefer its members to be committed South African coal mine operators. However, RBCT chairperson, Nosipho Siwisa-Damasane, said today that the terminal’s shareholders were unconcerned regarding the role of international trading firms because a shareholders agreement laid down very clear conditions. Some of those bidding to buy the mines include Vitol with Burgh Group, and a consortium including Bernard Swanepoel’s Last Mile Fund and traders Trafigura. The bidders recommended by the business rescue practitioners are an unknown shelf company called Project Halo which is thought to have Macquarie Australia as a partner. Publishing its 2018 coal export volumes today, RBCT said difficult market conditions had taken the edge off its performance. It shipped 4.1% less coal at 73.47 million tonnes (Mt) in the 12 months to December than it did in 2017. Transnet Freight Rail (TFR) railed 72.9Mt of coal to the port in this period compared with 75.6Mt in 2017, partly reflecting lower tonnages from the mines and partly technical difficulties. TFR experienced a train derailment in December just outside Richards Bay. Tiyani Hlabongwane, TFR’s executive manager responsible for export operations, said TFR had opened a criminal case because it appeared a cutting torch had been used on the line, which was equipment TFR itself did not use. The metal itself was not stolen. RBCT CEO, Alan Waller, said whatever was railed to the port was shipped. At the end of December stockpiles were just under 3Mt. However, the terminal had to work hard to maintain efficiencies in the teeth of 36 partial or full days of weather-related port closures. In 2017, 38 days were lost because of weather. Waller said 81.6% of the terminal’s coal went to Asia last year, of which 47% went to India, 13% to Pakistan and 9% to South Korea. 10% went to Europe, 8% to Africa, which was less than in 2017, and 0.3% to South America. In the past year, RBCT completed a machinery upgrade, including replacement of stackers and ship loaders to achieve faster times. It spent only R1.25bn of the R1.34bn budgeted for the project. The next steps will be to improve the capacity of the intermediate machinery through de-bottlenecking, which could deliver another 2Mt to 4Mt of efficiencies, allowing the terminal to minimise the impact of weather delays. Out of the 4Mt annual Quattro allocation to junior miners, about 2.5Mt was used in the past year, slightly more than in 2017, but still below target, Waller said. The Department of Mineral Resources is leading an adjudication process with Transnet Freight Rail and Transnet National Ports Authority to bring in new participants and appoint a new administrator for the process.